This balm is used to prevent diseases of the genitourinary system. Common restorative and immunostimulating agent. 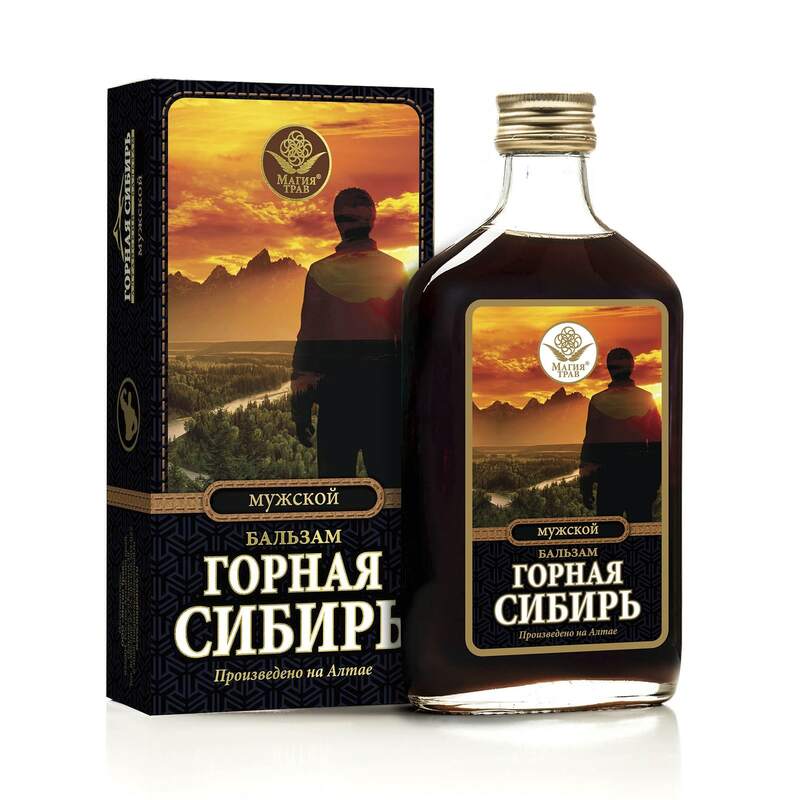 Promotes the recovery of the body after the diseases, injuries. Increases libido in men. Ingredients: The root of the penny (red root), the root of the rhodiola rosea (golden root), the root of the aura, the fruits of the mountain ash, the cherry fruit, the hawthorn fruit, the rose hips, the herb of St. John's wort, the herb of the mountaineer, the grass of the yarrow, the leaf of the panicle, pantocrine ossified horns of Altai maral), sugar syrup.